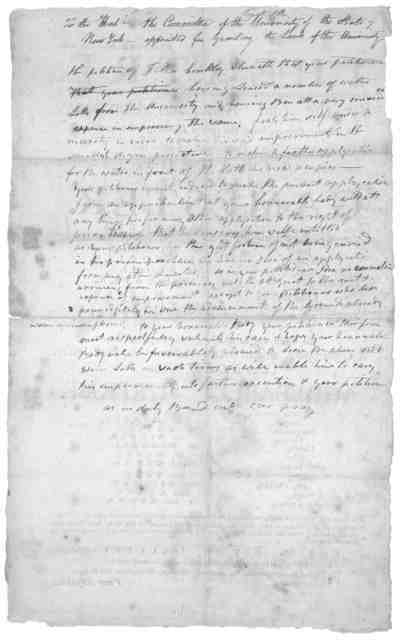 New-York, February 17, 1787. Theatre. By the Old American Company. 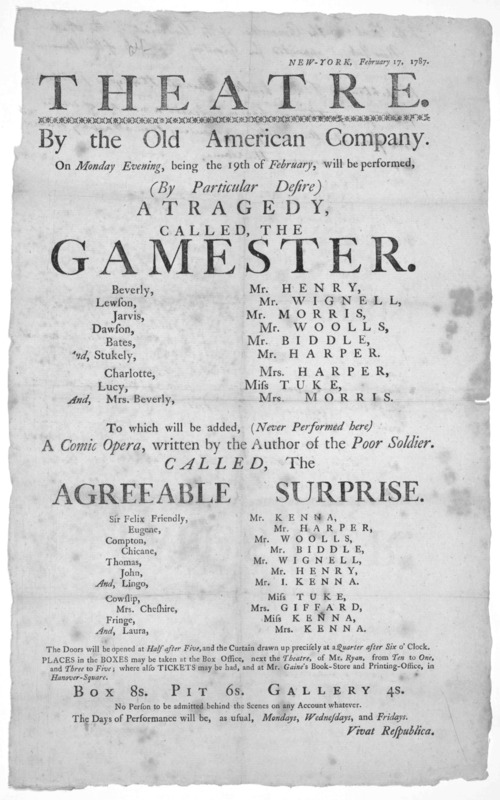 On Monday evening, being the 19th of February, will be performed (By Particular desire) A tragedy called the Gamester ... [New York, 1787].